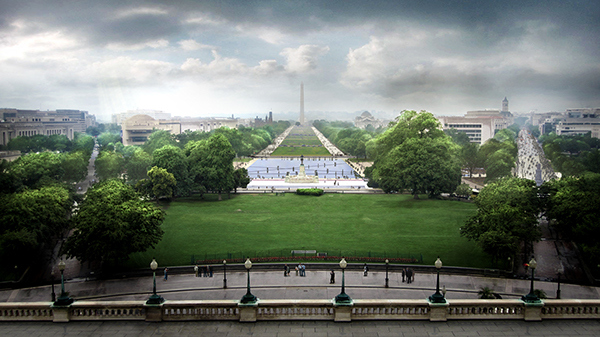 This winning design for Union Square, situated at the base of the Capitol in Washington DC, engages visitors with an impressive monumental scale, while also providing comfortable places for a range of experiences and voices. 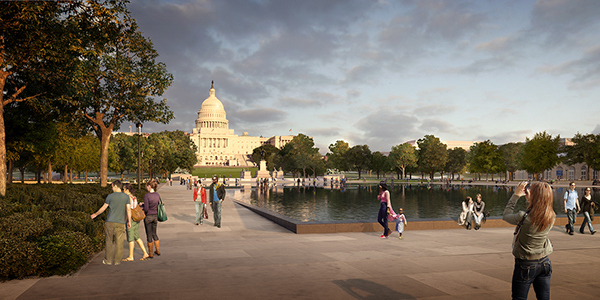 The major focus is a grand central space defined by a reflecting pool and the historic Grant Memorial. Consisting of a 2" sheet of water over a paved surface, the pool can be quickly drained to create a range of differently sized assembly spaces. Paved paths running diagonally at the surface of the pool encourage pedestrians to traverse this large water feature and allow people to inhabit the water’s surface, enlivening and humanizing this formal space. The central space is flanked by a series of outdoor rooms of distinct character. Subtle changes in grade are used to form terraces and low retaining walls that provide seating surfaces and views into these rooms. Planting further defines the spaces within, utilizing the existing mature trees on the site. Materials have been selected to reinforce the different identities of the constituent spaces, as well as to create durable surfaces that can be efficiently maintained through the life cycle of the project. 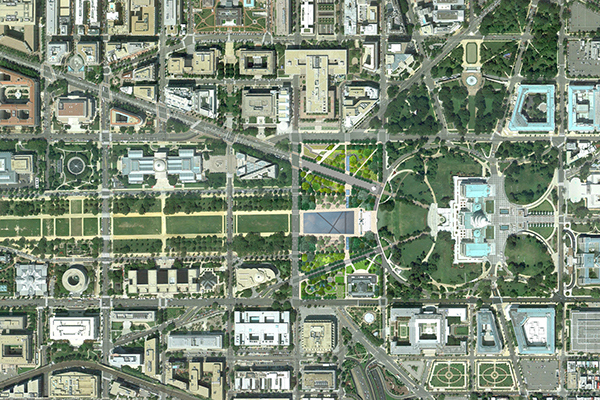 National Mall Competition Union Square in Washington D.C.